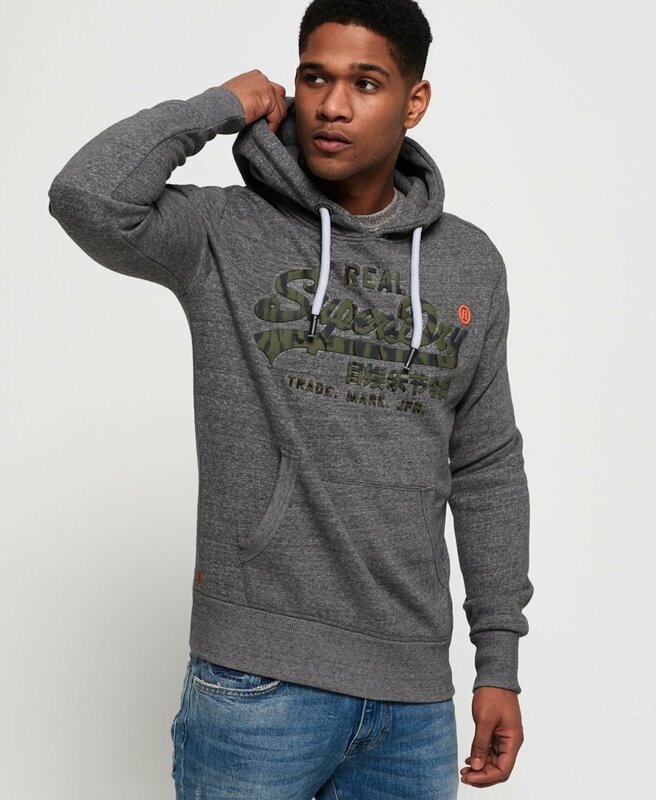 Superdry men’s Vintage logo camo hoodie. A twist on the classic, this hoodie features a high-rise Superdry logo across the chest making this a stand out piece in your wardrobe this season. In addition, this hoodie also has a draw cord hood, ribbed cuffs and hem as well as a large front pocket. For the finishing touches, this hoodie has a Superdry patch on the sleeve and an orange stitch in the side seam. A key look this season is partnering a hoodie with jeans and trainers for a causal outfit.